Sony announced a new set of firmware updates Wednesday which will add a host of new features to its Android 4.0: Ice Cream Sandwich-powered Xperia T and Xperia TX smartphones. Set to start rolling out globally this week, as the updates become live across certain regions, the Xperias will notify users when the phones can receive the upgrades. There are four major features getting solid improvements with this firmware bump, each of which should make the Xperia experience much more satisfying for its users. Coming only to the Xperia T is what Sony calls "the most significant voice quality upgrade in mobile history." The Xperia T's HD Voice feature provides a clearer, crisper conversation even when the user is in a noisy or crowded locale. Sony's upgrades to the Xperia T's HD Voice further filters out background noise and is able to capture and transmit a "broader spectrum of the human voice." While the Xperia TX is sadly absent HD Voice, it will enjoy other features the Xperia T gains such as Screen mirroring. Utilizing a compatible Wi-Fi enabled TV, users will be able to stream photos, games, movies, music and more from the smartphone to their larger screens effortlessly. Additionally, both Xperia devices will gain an extended stand-by mode, which disables features like Wi-Fi and data traffic once the phone is in sleep mode for a few minutes. 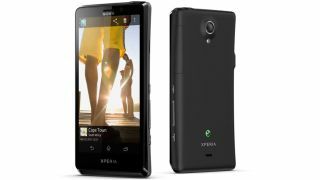 Several of the media applications on the Xperia T and Xperia TX will also see some improvements, including a better interface for the Walkman app and dashboard controls for the movie app. It's not quite a complete OS update, but these additions should help the Xperia T and TX continue to stand their ground against Google's Nexus 4 and HTC One X+.